Guests can control lighting, television, air conditioning and heating as well as request amenities through voice commands or with a touch screen display. Giga Genie, the voice recognition AI platform, is able to communicate in English or Korean. Future upgrades are to include more AI concierge services ranging from recognizing more languages, room check out and room services. KT plans to open three more hotels in Seoul with its advance technology by partnering with major international hotel chains. The second, under Hyatt, will open in 2019 followed by a new Accor Hotel in 2021 and a new Marriott in 2022 in the popular shopping district of Myeongdong. 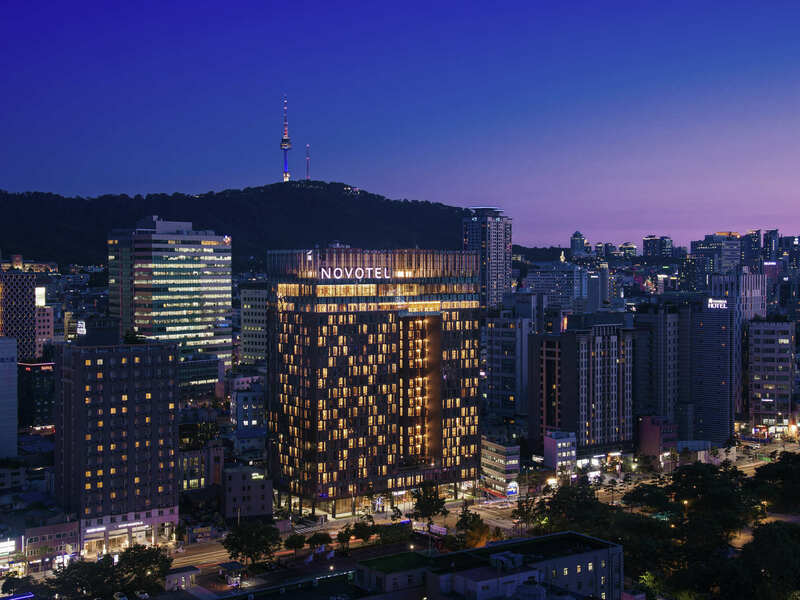 Recognizing the potential for the luxury market in Korea, AccorHotels has also announced the opening of the Fairmont Ambassador in 2020. The property will feature a rooftop terrace, spa, fitness centre, pool, conference hall and four restaurants. The 326 room facility will be opened in the financial district of Yeouido. An hour flight south of Seoul, on the UNESCO World Natural Heritage site of Jeju Island, the second largest Grand Hyatt hotel in the world is scheduled to open in 2020. The twin-tower hotel will provide 1600 guest rooms as well as a Tourist-only casino which will support the island's promotion. The island has seen a surge of international tourism over the last decade and has become the most popular destination in Korea next to Seoul, which leads as the busiest airline route in the world. Giving further popularity to the island, luxury chain Four Seasons is set to open in 2020. The 240 room hotel will feature, suites, villas and a luxury spa designed and styled like a traditional Korean Tea House. The hotel will target both leisure and business clientele with facilities for corporate guests, weddings and state of the art meeting rooms for MICE events.